THE WRITING PROCESS: TOP 5 TV SHOWS THAT HELP ME WRITE | Nam Writes. By that I mean, I hate silence. No matter what I’m doing — working, writing, running, cleaning, sitting or staring into space — I need background noise. Maybe it’s because I grew up in a house with six siblings or maybe it’s because my brain is screwed up. Who knows? 1. Veronica Mars: Smart, sassy girl narrator who can work a camera like nobody’s business. Say no more. 2. Greek: Oh ABCFamily, what would I do without you? Also, I have a bit of a crush on Rebecca Logan. 3. Make It Or Break It: Ditto. 4. Gilmore Girls: Fast-talking, too-smart-for-their-own good characters making it on their own in a town that is almost too weird to be real. If only Bunheads were this good. 5. 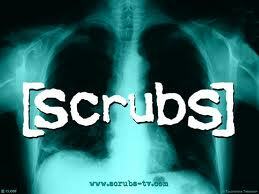 Scrubs: Underrated show about a guy who talks to himself constantly.